DON’T FORGET. Book with us direct to get the best price! Perfectly positioned on Oban’s Sea front, Corriemar House is an outstanding Victorian Guest House with panoramic views across the sea. 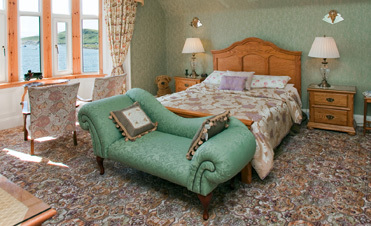 Our 14 spacious guest rooms are individually designed, each offering something different, be it a grand Four Poster or a Super King size room with full views across Oban bay. Parking and Wifi is complimentary at Corriemar. Our cooked and continental breakfast ensures you have a great start to the day, served in our large bright Dining room which is positioned at the front of the house to take full advantage of the fantastic Sea View. You may also like to take complimentary tea and coffee on our outdoor Terrace with views over to the small island of Kerrera and Oban bay Marina, looking beyond to the larger Isle of Mull. We are within walking distance to Oban town centre where you can experience the comings and goings of the fishing boats and cruise liners in Oban bay, take a tour of Oban Whisky Distillery or perhaps enjoy the bars, shops and many award winning restaurants. 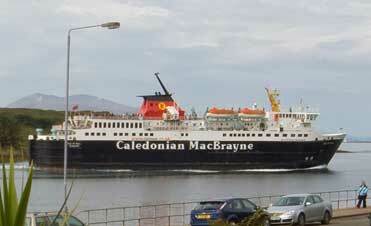 Transport links are very convenient with coach, train and even the Calmac ferry port within one mile. Each of our 14 guest rooms are individually designed, each offering something different. At certain times throughout the season we can offer special discounts for our guests. You can view these offers on our offers page. 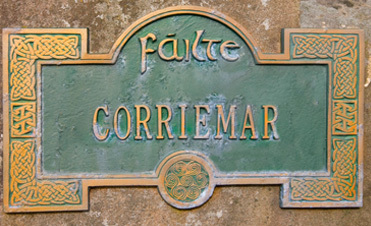 Corriemar House was completed in 1897 and six years later the Duke of Argyll officially opened the new Promenade extension and the road to Ganavan. Situated less than half a mile from Dunollie Castle, the historic heartland of the Clan MacDougall, and within easy walking distance of the town, Corriemar is in an excellent position to be used as a base for touring the historic land of Lorne. With the Caledonian MacBrayne ships travelling to the islands from Oban, and the excellent bus and train connections, it's no wonder Oban was called the "Charing Cross of the Highlands" and is now known as the "Gateway to the Isles".